Did you move your elf today? Like most moms who choose to participate in this new Christmas tradition, I have a love/hate relationship with the Elf on the Shelf. Before the hustle and bustle of the holiday season, I enjoy perusing Pinterest for fun new ways to hide our elf, Buddy. And I love my children’s enthusiasm as they search for Buddy every morning. But somewhere around mid-December I really begin to dislike that darn elf! I question my own judgment for starting yet another holiday tradition that I have to micromanage all month long. Stick to an Elf on the Shelf Schedule. In our house, the elf appears the weekend after Thanksgiving. 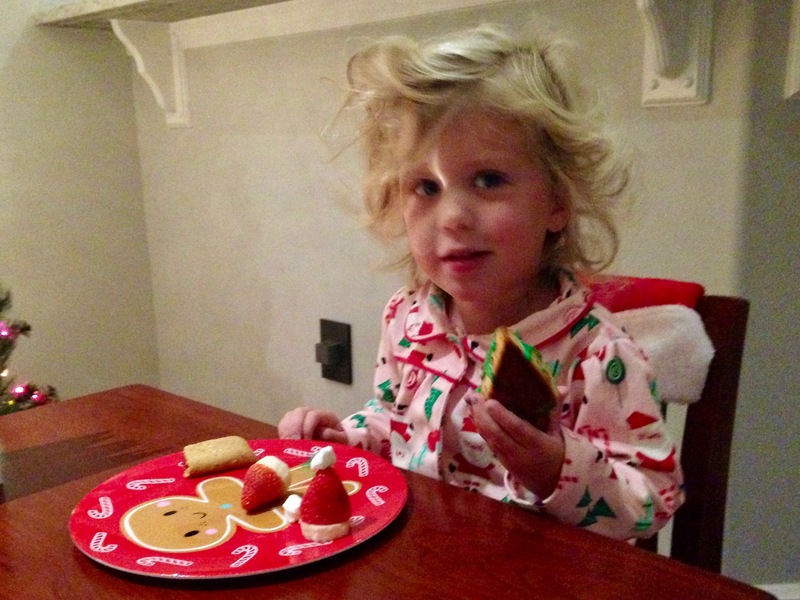 On that day, Mia and Miles wake up to a special North Pole breakfast served in front of the Christmas tree. In the past, I have served Christmas tree shaped cinnamon rolls, tree shaped waffles, or just picked up donuts from the store. We read the storybook that accompanies each elf, reminding the kids that Buddy will be watching them and reporting back to Santa each night. The concept is kind of creepy, but highly effective when you are dealing with overly excited three year olds. That night is when my elf prep system kicks in. 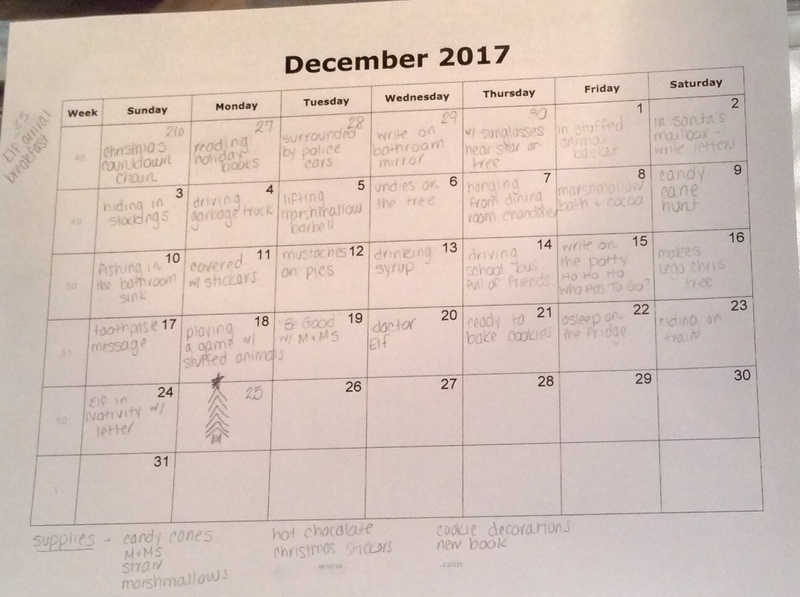 Sometime in mid November I print out a December calendar. Then I dedicate a night (after the kids are in bed) to “elf research.” I check out Pinterest for new places to hide Buddy or funny situations to set up for him. I write an idea for each day on my calendar. Along the bottom of the page I list any special supplies I will need to make sure I have them on hand. Pick Elf on the Shelf Activities/Gifts with Care. I also think about timing when it comes to our elf on the shelf. For example, one of my favorite elf ideas involves having Buddy hide candy canes so Mia and Miles can go on a candy cane hunt – not ideal on a morning we are rushing to get to school. Buddy also brings a new holiday book early in the season, stickers when I know we will be going out to dinner, and frosting and sprinkles when I’m planning to make Christmas cookies. Set an Elf on the Shelf Alarm. All of this planning is well and good, but you also have to remember to implement the system. That is why I set an alarm on my phone for 9:00 every night. It reminds me to move that darned elf. Because waking up with a start at 2 am realizing I forgot to move Buddy is never fun. I’m hoping all this prep will take some of the stress out of this “fun” holiday tradition and instead allow me to enjoy my twins’ childlike wonder while I can. Does your family have an elf on the shelf? Share some of your best hiding ideas in the comments . . . I may add them to the calendar!